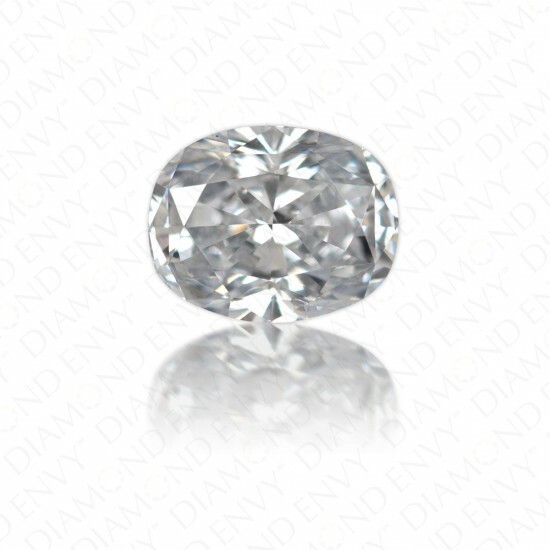 Icy blue holds sway in this 1.01 carat SI1 oval cut Natural Fancy Light Blue diamond. The Fancy Light Blue diamond is paired with profuse brilliance and fire, lending the diamond a lively and lustrous face. The nicely proportioned oval cut would make a fantastic center stone in a ring or pendant. At 1.01 carats, this pale blue diamond is a superb size and is hard to find especially in this particular hue. The cool blue tone of the diamond is ideal for setting in white gold or platinum. The soft blue diamond evokes the frozen calm of winter when nature has cast her cold spell on the great outdoors. Diamonds are a symbol of love, eternity and strength – this carat-sized Fancy Light Blue diamond would be just the right gift to give the woman you love for her birthday, anniversary or engagement. This delicate blue diamond is a gift that the lucky recipient will cherish for all time. GIA-certified.